Wrist cuff is padded w/ Velcro closure, attached to purse w/ "chain"
It's an accessory, a purse, and a prop! So let's get real for a second-being a prisoner is kind of lame. There are literally zero perks. The food is soggy and mushy, the scenery is dull and boring, and the wardrobe choices are virtually nonexistent. But, your ears will perk up when you hear this news fellow prison mates;you're about to be gifted with a nifty ball and chain! We know what you're thinking, "oh great, a heavy piece of metal that I'm being forced to lug around," but you're wrong my friend. 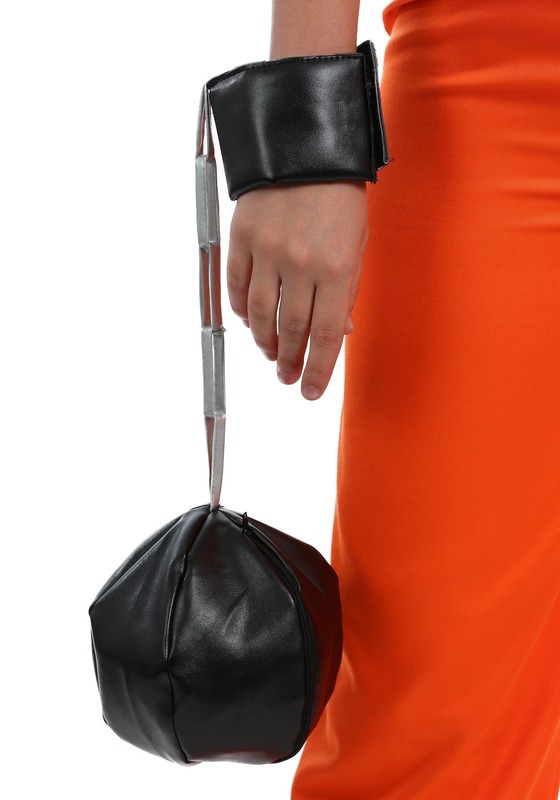 This ball and chain accessory is actually a purse so you can stash things inside of it. See, it really is handy! 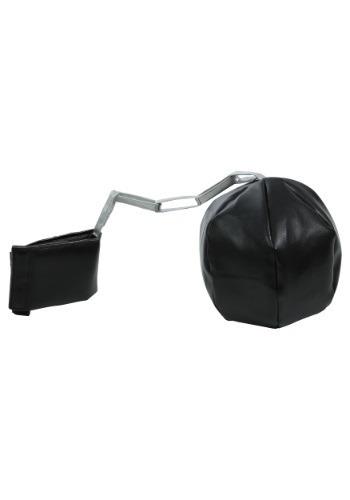 This ball and chain purse is the perfect accessory to pair with your prisoner costume because it also acts as a prop that will elevate your costume from a drab jailbird to an exciting member of a chain gang. Just wrap the strap around your wrist and fasten the Velcro tabs and you're ready to tote around all your necessities with ease. We ope that this makes the burden of being a prisoner just a tad bit more fabulous! Standard Approx Size 6" 6"